From ‘building’ a brand new library to constructing a strange new ice cream store, Jory engages children to actively participate in ‘building’ the show! Through music, stories, and skits, children become puppeteers, musicians, construction workers, and actors, to build connection with each other and with our world! Spring is a time for growing plants, trees, animals, and children! Energy is in the air as the earth wakes up from Winter’s long nap. Join Jory as she celebrates the new growth through songs, skits, puppets, and more! From ‘The Grow Song’ to ‘The Jolly Frogs’, children will be actively involved in the show as musicians, puppeteers, actors, and singers. For children 3 to 8 years old. The Celebration Show; Books Alive! Celebrate the magic of books coming to life through songs and skits. Jory invites her audience to BE the show! Using puppets, instruments, and props, we act-out tales, old and new. From a wild old-time barn dance (with dancing animals), to a clever hungry wolf; let the celebration begin! An Active Children’s Concert for toddlers through 4 years old. Jory’s musical celebration of the animals we all love, for little ones. Bring a favorite stuffed animal for action-packed fun. ‘Animals’ will dance, sing, and act-out stories with Jory. Jory’s Winter Holiday Musical-Fun Concert! Pet Show! Jory Aronson helps the animals take over as the audience becomes puppeteers, actors, dancers, and musicians in this whacky Summer Reading Variety Show. Come celebrate our bond with the (talented) animal world! Participatory Children’s Concert for 2-through-6 years olds. 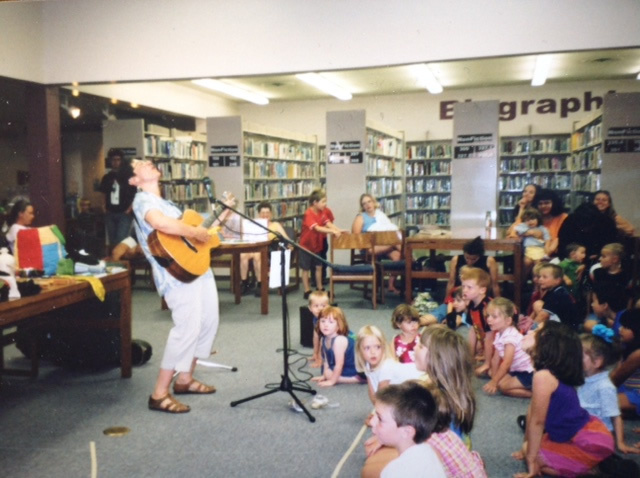 An active concert for young children that includes songs and typical baby behavior that little ones love to mimic. Bring a favorite ‘baby’ doll or ‘baby’ stuffed animal to Jory’s Babytown! Doggy Tales & Puppy Tunes! Jory’s show celebrates the bond between humans and their canine pals using dog puppets galore, lots of active music, and delightful skits (with the help of the audience). From ‘The Howling Song’ to ‘Jory’s Doggy School’, we’ll all have a hoooowling good time! Children are invited to bring their stuffed dogs (as in ‘toys’!). For children 3 through 8 years old. Come and celebrate the special bond between a person and their bear! Bring your bear along for a rollicking visit with Jory and her bear. The bears will play, sing, dance, act-out stories, and have a snuggly, delightful time! For children 2 through 6 years old.